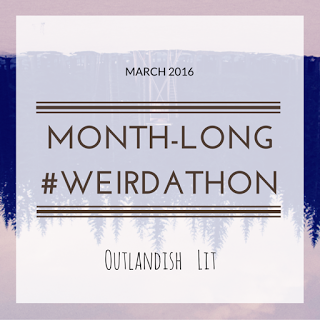 Today I'm over at Outlandish Lit defending my pick for the Weird Off, Lady Into Fox. I was up against Katie with You Too Can Have a Body Like Mine. I gave it 110%. I really wanted it. I dug deep. I brought my A game. But did it work? Hop over and see for yourself! Fun. I will have to check it out! Um, that gif is amazing! It was nearly impossible to choose. I NEED YOU TO KNOW THAT. My #DayintheLife Post for 2016: It's Saturday! Happy Plan a Solo Vacation Day!